Georgia Engel, who played Georgette Franklin in The Mary Tyler Moore Show, has died at the age of 70. The actress appeared in 56 episodes of the series as Georgette – the love interest of anchorman Ted Baxter, played by Ted Knight. Engel was nominated for five Emmy Awards across her television career – including two nods for her performance in The Mary Tyler Moore Show. The cause of death has not yet been confirmed. Her friend and executor, John Quilty, told The New York Times Engel, who was a Christian Scientist, did not consult doctors about her illnesses. Speaking to The Toronto Star in 2007, Engel recalled how her most famous role had started out as a much smaller part. “It was only going to be one episode, and I was just supposed to have a few lines in a party scene, but they kept giving me more and more to do,” she explained. Engel proved popular with viewers and, during her five years on the show, viewers saw Georgette and Ted marry and adopt a child before going on to have one of their own. 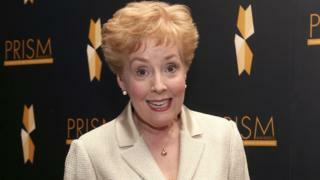 Much later in her career, Engel received three Emmy nominations for playing Pat McDougall on Everybody Loves Raymond. Engel’s other acting credits included film appearances in Dr Dolittle 2, The Sweetest Thing and TV shows such as The Office and Two And A Half Men.